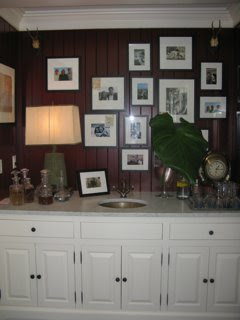 I love the function of this wetbar but without the obvious design- the usual exposed glassware and tile backsplash. This fit the living room seamlessly and became a piece of furniture. Amagansett, New York.